Every time I release a new fabric range I also design a few quilts using the new fabric. This is the first time I get to actually play with my new fabric designs and it is always heaps of fun. 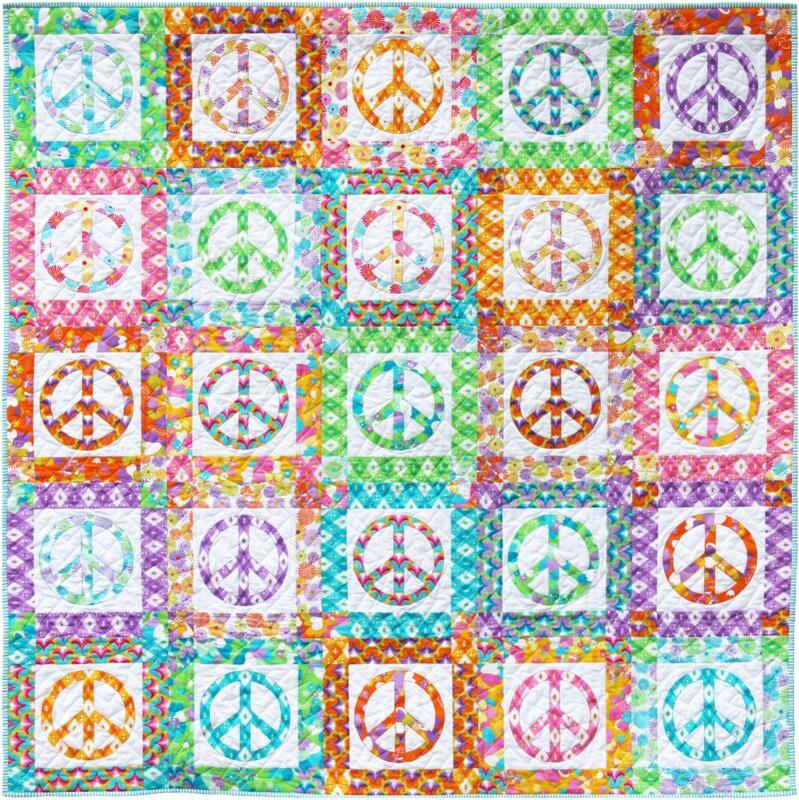 The first quilt I made using 60's Scrapbag is called the Peace Quilt. I wanted to design a quilt that used the iconic peace symbol that was very popular during the 1960's. Then I decided to sash the quilt using all the fabrics so the quilt had a flower power feel. It was heaps of fun matching up the fabrics! I love the way the quilt turned out and I think the simple quilting made the Peace signs really shine! In my next quilt I decided to use some of the fabulous new Basics Range produced by Ella Blue. These fabrics work perfectly with 60's Scrapbag! 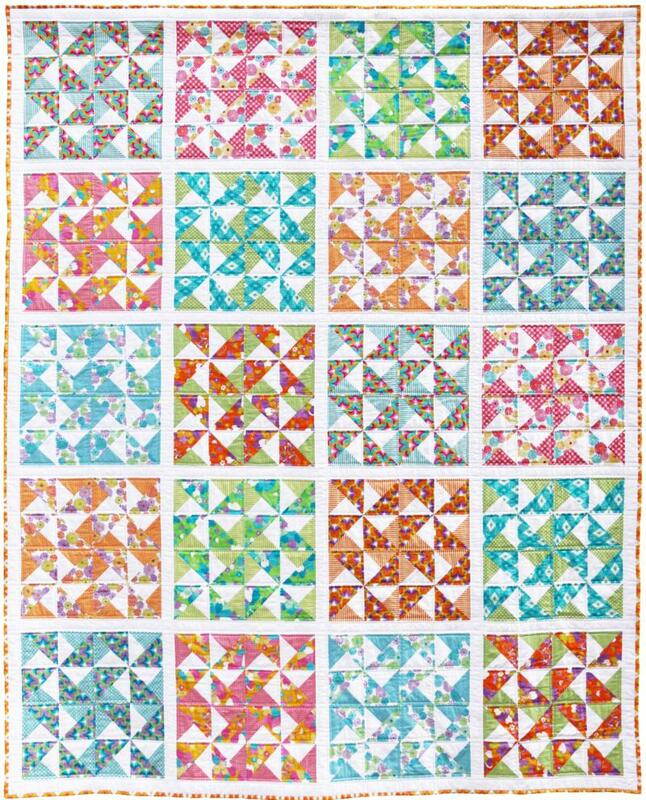 I used a double pinwheel block which gives the quilt so much movement. my walking foot. I just did straight lines either side of the seams. Wholesale patterns orders from Creative Abundance. For retail pattern purchases, please contact your local patchwork shop.